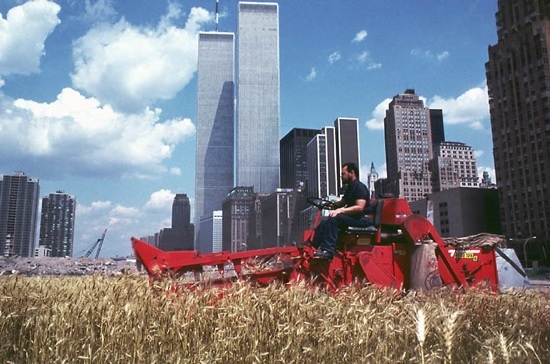 Retro art – 1982 – Wheatfield « Adafruit Industries – Makers, hackers, artists, designers and engineers! 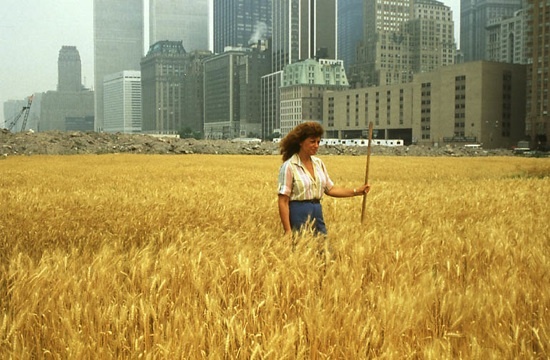 Wheatfield – A Confrontation, Battery Park Landfill, downtown Manhattan, 2 acres of wheat planted & harvested, summer 1982 by artist Agnes Denes – Adafruit’s present day HQ is a few blocks from where this photo was taken. Looks like she’s at it again in London… (photos).